Double Dutch... "small" but perfectly formed. Although Double Dutch is the "smallest" boat in our fleet with capacity for 6 adults, in reality there is plenty of space! She is 12.7m (42') long by 3.2m (10'6") wide. The ceiling height in the saloon is 1.82m (6'). She is equipped with a full sized en-suite double bedroom in the back cabin, there is a double bed in the front cabin and a convertable double bed in the main galley area. 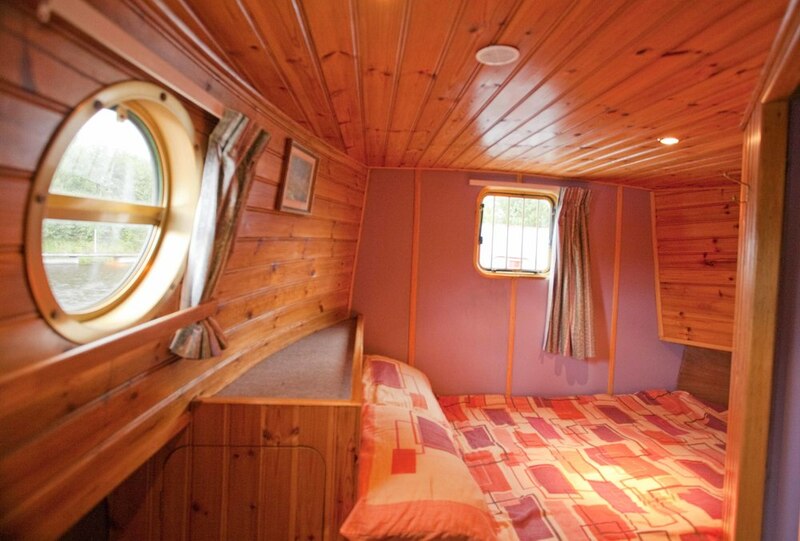 There is solid fuel stove on board which makes a cosy addition if the nights start to get a little chilly!